If you are moving to live and work in Hong Kong you will pay more to rent an apartment than anywhere else in the world, according to a new study. In US dollar terms, rents in the city are now more than 50% higher than Asia’s next most expensive location of Tokyo. In contrast, Karachi has the lowest rents but is not a huge draw for expat workers. But the Asia Pacific region is and its most popular expat locations have seen housing costs rise, according to the study from ECA International, a leading provider of knowledge, information and technology for the management and assignment of employees around the world. Across the Asia Pacific region, the average rental price for a three bedroom property is US$3,600, a slight fall of 1% from last year. But this remains higher than the global average of just over US$3000. The report says that the largest rent increases in Asia over 12 months were observed in Jakarta, which is now ranked eighth most expensive city in Asia and 30th globally. The cost of renting a three bedroom apartment went up by 15%, driven by Indonesia’s continued strong economic performance and increasing demand from expats. This has put pressure on the supply of suitable housing, pushing up prices. China has presented a mixed picture. Increases in rents were fairly muted over the year in Shanghai with is now ninth globally and Beijing at 17th as the Chinese economy slowed and neither city saw rises greater than 3%. This contrasts with last year, when rental prices there went up by 8% and 12% respectively. In Singapore, ranked seventh globally, ongoing demand for high end properties saw rental prices there rise by around 4% over the year in local currency. However, rents there are still only half as high as they are for an equivalent property in Hong Kong. But it is Hong Kong that remains the most expensive location in the world to rent a three bedroom apartment, despite rents for high end property falling in the city for the second consecutive year. Rents for an unfurnished three bedroom apartment in a sought after area of Hong Kong average US$11,440 per month. With a high population density and a consistently limited supply of property, average rents in the territory have long been significantly more expensive than other high profile cities. However, in contrast to the large 15% increases seen a couple of years ago, rental prices in Hong Kong for properties popular with expats saw little movement during 2013. ‘Many employers remain cautious about costs when markets are still so uncertain and have been gradually reducing the housing budgets they provide their mobile staff in Hong Kong,’ explained Lee Quane, regional director of ECA International, Asia. ‘In response to this, landlords with properties in the areas popular with expatriates are having to reconsider the rents they demand. At the same time, government restrictions on the sales market, similar to those in mainland China, have increased the numbers of rental properties available, easing supply in a location where limited space already puts plenty of upward pressure on rents,’ Quane added. 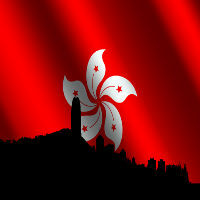 Within Asia, Hong Kong is followed by Tokyo, which ranks sixth globally. Four years ago, rents in Hong Kong were only 6% higher than in the Japanese capital but the gap has increased every year since then and local rents are now 55% more expensive than in Tokyo in US dollar terms. The report also looks at how currency exchange can affect expat housing costs. For example, in Tokyo, rents increased by approximately 6% between surveys when measured in local currency, largely as a result of confidence returning to residential markets after it had fallen following the earthquake in 2011. However, a weaker yen has meant that the cost of renting a three bedroom apartment actually fell by about 15% when converted into US dollars.